The share of particulate matter from all European coal-fired power plants is only a few percent of the particulate matter emissions caused by humans (dust < 4% and particulate matter < 7%, source: European Environment Agency, ongoing). In addition, these emissions have fallen considerably since 1990, by around two thirds. The energy industry makes with a share of around 33% the largest contribution to air pollution control in all sectors. As regards nitrogen oxide emissions (NOx), the European Environment Agency (EEA) notes a decline for the EU-28 of 44 % (data basis: 1990 to 2011), with a share of the energy industry amounting to 23%. The reduction success is stated to be 48% - here, too, electricity generation leads the way in reduction. According to the EEA, sulphur dioxide (SO2) emissions in Europe fell by 74% between 1990 and 2011. Electricity supply contributes 58% of these emissions and can refer to a reduction of 76% between 1990 and 2011. 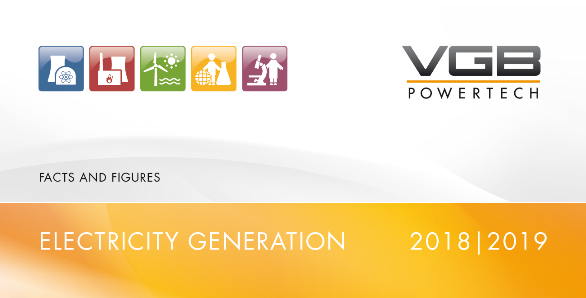 As early as 2011, a fundamental work by VGB PowerTech e.V. stated that it can be assumed from long-term results of monitoring measurements that the air quality (pre-pollution) is practically unchanged or only insignificantly changed by additional immissions (additional pollution) from coal-fired power plants. Immissions are the main parameter for determining and evaluating possible adverse effects or consequences for health and the environment. The Greenpeace study "Last Gasp: The coal companies making Europe sick" (20 November 2018), which is currently being presented, simply ignores such important facts and other key findings on the subject of emissions and immissions. In addition, the methodology of the study is basically not comprehensible, as it has not been published. An extensive source work is cited, but a scientifically sound statement on which the core statements of the study are based, i.e. health consequences, even including premature deaths, is simply missing. It is not clear, how the effective chain emissions - immissions - health consequences is extrapolated. The illustrations in the study also raise a number of questions. In the German version, infor-mation in the figures is often virtually unrecognisable. The English original uses a signal-warning colour scale for additional fine dust immissions (PM2.5) from the energy industry. The study omits the indication that these immissions represent less than 4% (dust) or less than 7% (fine dust) of the total concentration. All in all, the study represents for VGB a reprint of the 2013 Greenpeace publication "Tod aus dem Schlot - Wie Kohlekraftwerke unsere Gesundheit ruinieren" (Death from the stack - How coal-fired power plants ruin our health, Silent Killers). Greenpeace´s statements and allegations at that time were based on a valid scientific study on the spread of emissions. Greenpeace had published its own interpretations of the health consequences of this study, some of which were not derived from the study or can be traced back to it. Anyone who deals intensively and seriously with the subject of power plant emissions, must not simply ignore scientific and technical findings.